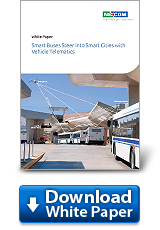 Vehicle telematics is pushing the transformation of bus services across cities. The core thrust of the transformation is the concept of "Smart Bus" promising to elevate road safety, operational efficiency, and passenger satisfaction. To allow smart bus scenarios to unfold, vehicle telematics data can bring far-reaching changes in driver management, asset management, and passenger services. Additionally, barriers to the vehicle telematics adoption in terms of time, costs, and efforts must be considered to ensure successful, large-scale implementation on smart buses. This article discusses how to deliver smart bus services for cost-sensitive bus carriers with compact vehicle terminals like NEXCOM’s VTC 1020 and its variant of VTC 1020-PA powered by Intel® Atom™ processor x5-E3930. The article looks at what vehicle telematics data the VTC 1020s can extract and its extended applications with the integration of real-time communication in smart bus services. We then contemplate how the VTC 1020s can help improve driver-passenger communication with the support for multi-display passenger information and bus announcement system. 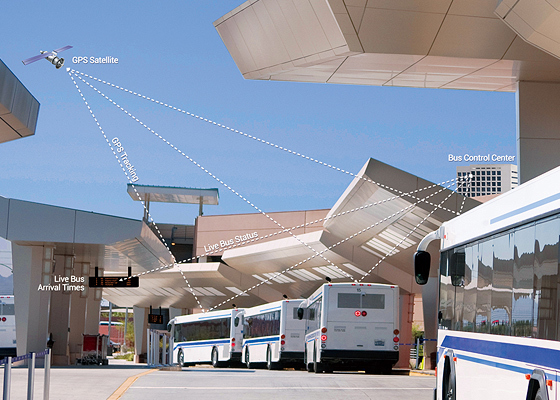 To ensure successful system implementation, we address concerns, such as space limit, poor ventilation, and unstable vehicle power supply, and explain how NEXCOM VTCs and Intel® Atom™ processor together can mitigate system threats and deliver a high cost-performance value for bus carriers.